47 wonderful blogs are helping me out with this cover reveal, and I’ve linked them all below. By clicking the link, you will be transported to their blog where they have shared a unique fact or sneak peek into the trilogy. There are 47 blogs and 47 facts. Have fun on the scavenger hunt, and enjoy the cover reveal! Eric has weeks before his final battle when he’s in an accident. Forced to face his human side, he knows he can’t survive if he fights alone. But he doesn’t want to surrender, even if he becomes the sacrifice for war. Jessica’s memory isn’t the only thing she’s lost. Her desire to find her parents is gone and so is her confidence. But when fate leaves nightmares behind, she decides to find the boy she sees in them, even if it risks her sanity. 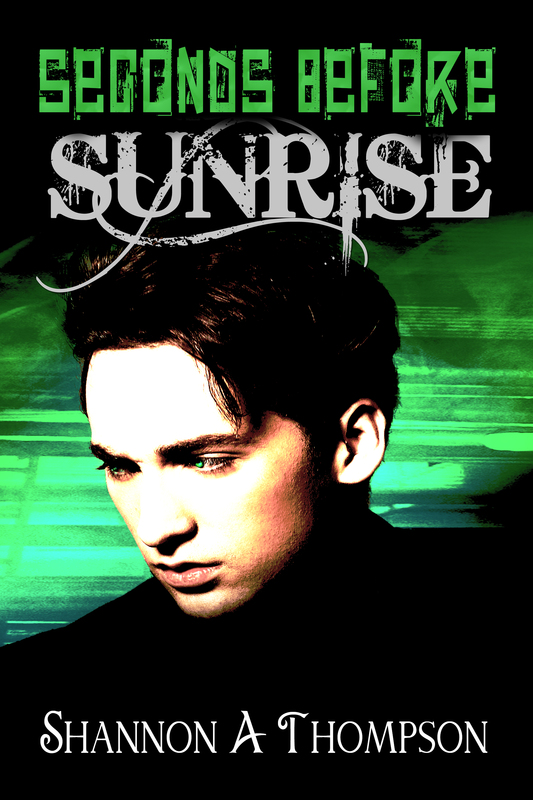 Add Seconds Before Sunrise to your Goodreads bookshelf today. Blogs and facts were chosen at random, and #23 is bolded because 23 is my favorite number 😀 YA Book Nook is also the winner of the pre-release ebook of Seconds Before Sunrise! Congratulations! Good luck with the Cover Reveal. Mine is set up to go. Cool cover. Now I need to figure out how to get one for my book. Good luck 😀 There are lots of talented cover artists out there. I also had a guest blogger talk on here about creating your own if you’re interested. I love the cover! Love it!!!! I’m glad 😀 Thank you! Thank you! It is a wonderful moment when you finally receive the perfect cover 😀 I cannot wait to get a copy in my hands. Love the cover and can’t wait to read the second installment. Best of Luck! I love the scavenger hunt idea! That’s such a great way to get readers involved. I’m looking forward to reading your books! Thank you! I think it went well 😀 I hope you enjoy the books! Minutes Before Sunset is already available through all major retailers: Amazon, Barnes & Noble, Smashwords, etc. The anthology my short story is in is available for free download on Smashwords.